iFixit is currently working on a teardown of the iPad mini, revealing the internal components of the device for the first time. One interesting development is the discovery of a Samsung display driver chip. It is unclear, however, whether this means that Samsung is also responsible for the display itself, as the codes found on the back of the display do not provide immediate evidence of its manufacturer. Display production had been reported to be split between AU Optronics and LG, with Samsung being left out on the iPad mini. 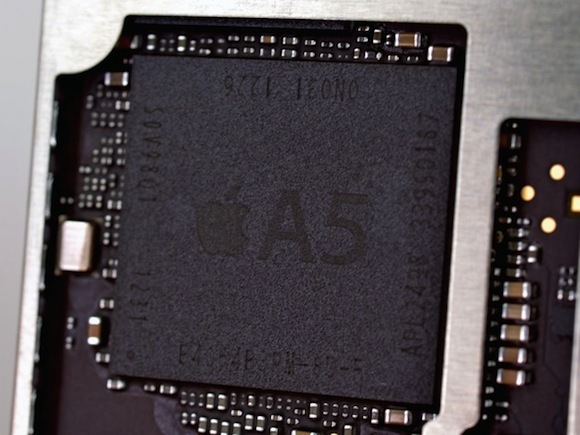 The teardown has also reached the logic board, revealing the A5 chip powering the device. The A5 chip found in iFixit's model carries date codes indicating that the package was put together in the 31st week of 2012, which would correspond to the end of July or the beginning of August. 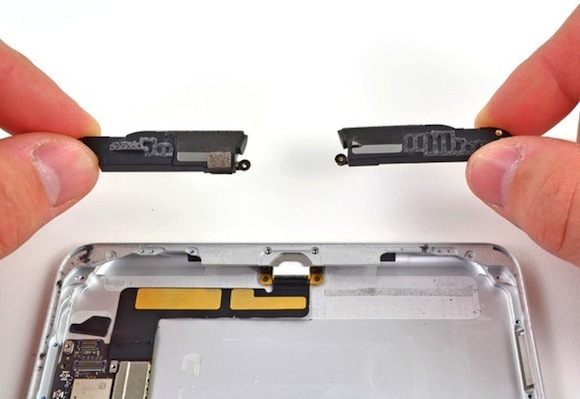 iFixit has also confirmed that the iPad mini contains stereo speakers, although the relatively small spacing between the two speakers means that the benefit of stereo sound will be marginal under most scenarios. iFixit's teardown is still underway, and we will update this post with any additional observations of interest that may surface. So it's a small iPad 2. Unless you want a smaller tablet, an iPad 2 refurb is a better choice IMHO. How many times are people going to say this? It's not specifically a better choice because it's bigger. Your statement makes zero sense. Do you not understand that the iPad "Mini" is intended for people that want a smaller tablet?????? This seems to be a foreign concept to many people in this forum. How is an iPad 2 refurb a better choice for someone that is shopping for an iPad Mini? Will the iPad 2 fold up somehow? I'm gonna reattach one ear to the other side of my head for better stereo reception. Wonder how much ram it has? Most likely 512Mb. The entire point of this device is that it's a smaller tablet. If you don't want a smaller tablet, of course a bigger tablet is a better choice. A dramatic move, bur probably the only way to perceive the stereo output. I actually think they should kill off the iPad 2. Its still more expensive than the mini brand new and only marginally cheaper than the retina, and it lacks Siri. It sticks out like a sore thumb. Seems like a solution looking for a problem to me. You could get two stethoscopes and only use one of the two earpieces of each. You could place a wedge between the speakers and direct sound to each side. You could get two microphones and transmit each one's signal to a separate ear. You could place the Lightning port on the bridge of your nose. You could buy three minis, disable the left speaker on one, the right on another, and watch the third while holding the other two up to the corresponding ear. Seriously, I am sick and tired of people saying you won't be able to hear stereo from one of these things without the use of headphones; clearly, there are many simple ways to do so.